Naples is the capital of the Italian region Campania and the third-largest municipality in Italy after Rome and Milan. 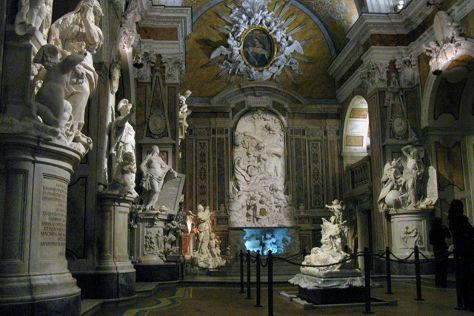 Get some historical perspective at Museo Cappella Sansevero and Ruins of Herculaneum. You'll explore and learn at National Archaeological Museum of Naples and Gallerie di Palazzo Zevallos Stigliano. Explore Naples' surroundings by going to Lido Marina Beach (in Minturno) and Reggia di Caserta (in Caserta). There's much more to do: make a trip to Gli Scavi Archeologici di Pompei, take an in-depth tour of Museo Nazionale di Capodimonte, step into the grandiose world of Castel dell'Ovo, and brush up on your military savvy at Galleria Borbonica. For other places to visit, photos, where to stay, and other tourist information, read Naples travel route builder tool . Ponta Grossa, Brazil to Naples is an approximately 28-hour flight. You'll lose 4 hours traveling from Ponta Grossa to Naples due to the time zone difference. In August, Naples is a bit warmer than Ponta Grossa - with highs of 36°C and lows of 25°C. Finish your sightseeing early on the 23rd (Fri) to allow enough time to ride a ferry to Capri. On the 24th (Sat), explore the galleries of Villa San Michele, enjoy the sand and surf at Marina Grande Public Beach, explore the activities along Marina Piccola, then take in nature's colorful creations at Giardini di Augusto, then make a trip to Chiesa di santo Stefano, and finally don't miss a visit to Piazza Umberto I. On the 25th (Sun), you'll have a packed day of sightseeing: contemplate in the serene atmosphere at Chiesa San Michele, explore the ancient world of Villa Jovis, tour the water at your own pace with Capri Whales di Wendy, then explore the fascinating underground world of Blue Grotto, and finally explore the fascinating underground world of Grotta Azzurra. 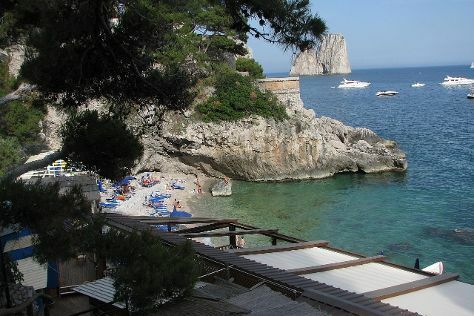 To find photos, maps, other places to visit, and tourist information, go to the Capri trip site . Traveling by ferry from Naples to Capri takes an hour. Alternatively, you can do a combination of subway and ferry. Expect a daytime high around 36°C in August, and nighttime lows around 26°C. Cap off your sightseeing on the 25th (Sun) early enough to travel to Matera. Get some historical perspective at Sassi di Matera and Basilica San Nicola. Museum-lovers will get to explore Museo Laboratorio della Civilta Contadina and MUSMA Museum of Contemporary Sculpture. Explore the numerous day-trip ideas around Matera: Spiagge Le Praie (in Praiano), Grotte di Castellana (in Castellana Grotte) and Zoosafari (in Fasano). There's still lots to do: explore the historical opulence of Castel del Monte and don't miss a visit to Cattedrale. To find reviews, ratings, photos, and other tourist information, refer to the Matera day trip planning website . You can do a combination of ferry and car from Capri to Matera in 3.5 hours. Other options are to do a combination of ferry and bus; or do a combination of ferry, subway, and bus. Traveling from Capri in August, Matera is a bit cooler at night with lows of 22°C. Wrap up your sightseeing on the 28th (Wed) early enough to travel to Vietri sul Mare. Vietri sul Mare is a town and comune in the province of Salerno, in the Campania region of southern Italy. Visit Spiaggia di castiglione and Lido Mediterraneo Beach for some beach relaxation. 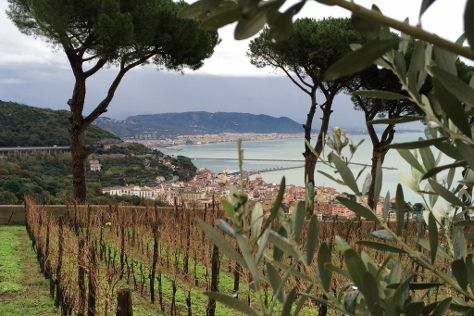 Do some cultural sightseeing at Le Vigne di Raito and Castello di San Nicola de Thoro-Plano. Take a break from Vietri sul Mare with a short trip to Temple of Athena in Paestum, about 1h 25 min away. There's lots more to do: kick back and relax at Spiaggia di Marina d'Albori, view the masterpieces at Sol’Art Ceramiche, stroll through Rosa dei Venti, and explore the world behind art at Museo provinciale della Ceramica. For photos, traveler tips, where to stay, and more tourist information, read our Vietri sul Mare trip website . Getting from Matera to Vietri sul Mare by car takes about 3 hours. Traveling from Matera in August, Vietri sul Mare is a bit warmer at night with lows of 28°C. Wrap up your sightseeing on the 31st (Sat) early enough to travel to Furore. Furore is a town and comune in the province of Salerno in the Campania region of south-western Italy. We've included these beaches for you: Lido di Ravello and Spiaggia di Atrani. Museum-lovers will appreciate Ceramiche d'Arte Carmela and Museo della Carta. Explore Furore's surroundings by going to Ravello (Villa Rufolo, Duomo di Ravello, & more). 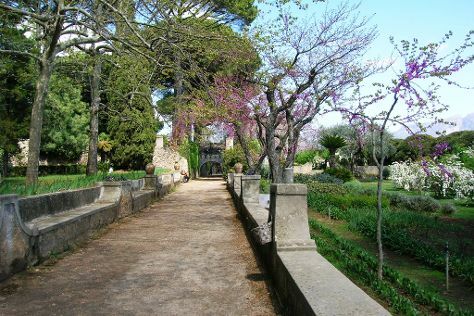 And it doesn't end there: take in nature's colorful creations at Villa Cimbrone Gardens, take in the pleasant sights at Sentiero degli dei (Path of the Gods), contemplate in the serene atmosphere at Chiostro del Paradiso, and enjoy the sand and surf at Lido Capo di Conca. For more things to do, where to stay, maps, and tourist information, read our Furore trip planner. Traveling by car from Vietri sul Mare to Furore takes 1.5 hours. In August, daily temperatures in Furore can reach 34°C, while at night they dip to 28°C. Cap off your sightseeing on the 3rd (Tue) early enough to travel back home.